Welcome to the Ploughman's Cottage - the original Ploughman's cottage on our farm. This delightful cottage is situated amongst a cottage garden, with over 30 fruit trees, and is charmingly decorated and restored. 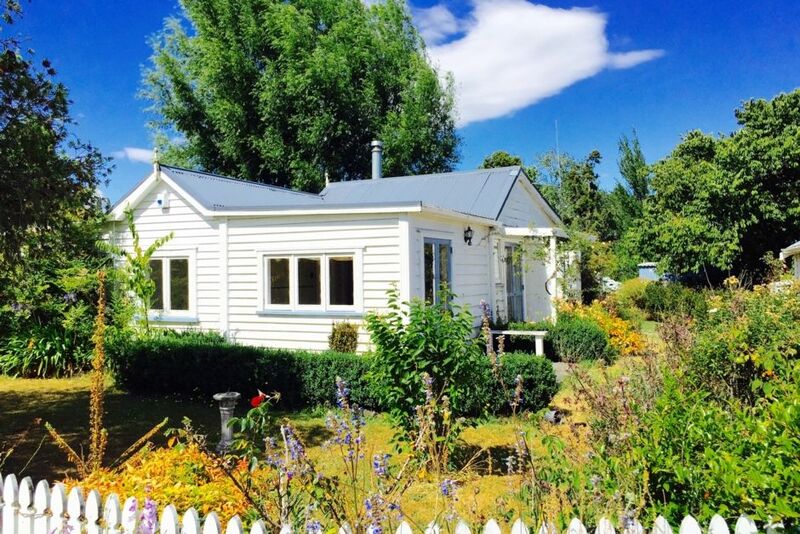 Conveniently located on State Highway 1, use the cottage as a perfect base for exploring the Bay of Islands and Northland - with Kerikeri and Paihia 20 minutes away, and the beautiful beaches of Matauri and Te Ngaere Bay just 45 minutes away. Kawakawa and the rail trail to Opua is 20 minutes down the road. Explore the stunning sand dunes and wild rugged beaches of the West Coast with Hokianga Harbour only 45 minutes drive from the cottage. Just 10 minutes up the road from the cottage are the Ngawha Springs - natural rustic thermal springs which boast an array of healing remedies! After exploring and adventuring - retreat to your cottage and while away the afternoon enjoying the cottage garden. Taste the splendour from the fruit trees, or an egg or two from the resident cottage chickens. Come and enjoy Northland and the Bay of Islands - whilst staying in a beautiful historic cottage in one of the earliest settlements in New Zealand. You are welcome to harvest fruit from the trees and eggs from the chooks - please take enough for your stay, but leave some for our next guests. Location was great for us as it was central to our travels. Cottage had everything we needed. Cooking facilities etc. we're good. Great for kids, lots of outdoor space & even chickens - will definitely be staying again. Lovely spot to base Northland adventures. Lovely spot to base Northland adventures. Friendly & helpful hosts. Cottage is just as lovely as it looks in the pictures. Definitely coming again! Charming little cottage and gardens in an excellent location to explore the local area. Charming little cottage and gardens in an excellent location to explore the local area. Clean and well equipped with everything needed for a comfortable stay. A trip to the farm's waterfall with the hosts is a must. Ploughman’s Cottage is a beautiful fusion of old and new which has been lovingly restored. Ploughman’s Cottage is a beautiful fusion of old and new which has been lovingly restored. It is set in a well cared for garden and established orchards which we wandered through, picking the fruit. The cottage is near the main road which made it easy to find and the traffic noise was not intrusive. The cottage was immaculate and very well provisioned with all th equipment you could need. I would love to come back! The cottage is lovely with a rustic charm to it. The cottage is lovely with a rustic charm to it. We found it clean, well equipped and it had comfortable beds with nice linen. The property is amazing with its fruit trees, vegetables and flowers. We loved the peace and quiet there (even though you can hear some cars on the road nearby) and the convenient location, close enough to shops and restaurant as well as to all kinds of activities and locations in the Northland. Internet can be tricky. We loved it and would be happy to come back.